Our product range includes a wide range of solar hybrid ups, power ups and safeguard ups- mixed load. 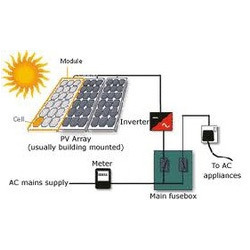 For the purpose of providing the finest Solar Hybrid UPS to our clients, we engage in using the highest grade of raw materials and modern machines in its manufacture. Because of this, the offered product provides superior functionality and has a longer functional life. For standardization, the product is passed through a number of quality checks. In addition, it is offered at the best rate possible. Our company is a widely appreciated name that is occupied in manufacturing and supplying premium quality Power UPS. These UPS offer pure sine wave on their unique LCD display. They work on a wide array of voltage inputs and are also available in offline, single phase and 3 phase modes. This product is subjected to various quality checks based on strict quality parameters. 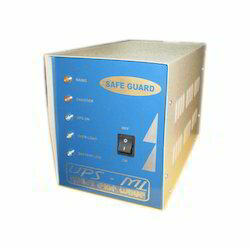 Our company is involved in offering superior quality Safeguard UPS-Mixed Load. These UPS are capable of working on a very wide range of voltage inputs. These products are made from high quality raw materials, which ensure their durability. These products are manufactured after thorough testing and verifications by the team of professionals. Capacity: 400 va, 650 va, 850 va, 1000 va, 1500 va, 2000 va, 3000 va, 4000 va, 5000 va.